・Toon Naminé will gain a new trait. ・Toon Naminé will gain one Special Attack Dot. 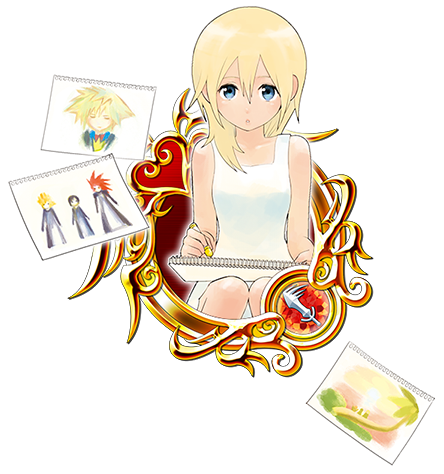 NOTE: If Toon Naminé is already strengthened to 5 Special Attack Dots, the Trait Medal will unlock the Special Attack Bonus. Trait Medals can also re-roll Special Attack Bonuses if the Bonus is already unlocked. 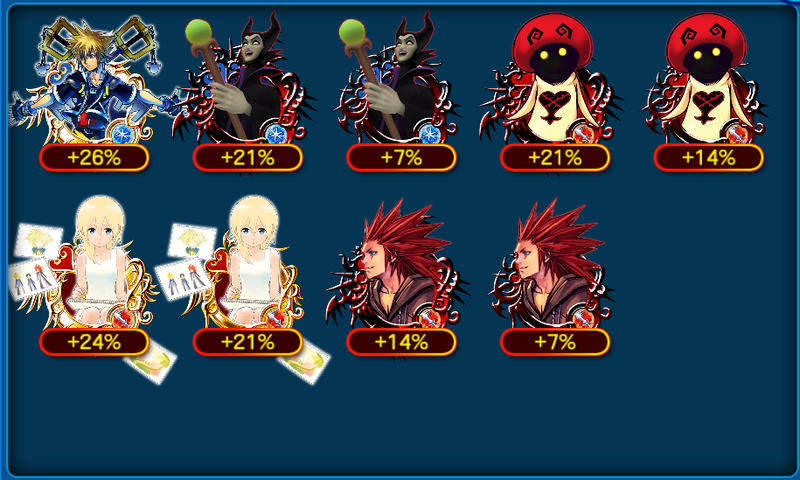 ・6★ Toon Naminé within 5 draws! ・A Trait Medal #54 each time you draw from this banner! ・A Tier 6 or 7, 7★ Medal per draw from this banner! ・Boosted Toon Naminé: 1,000 more base Strength and Defense. 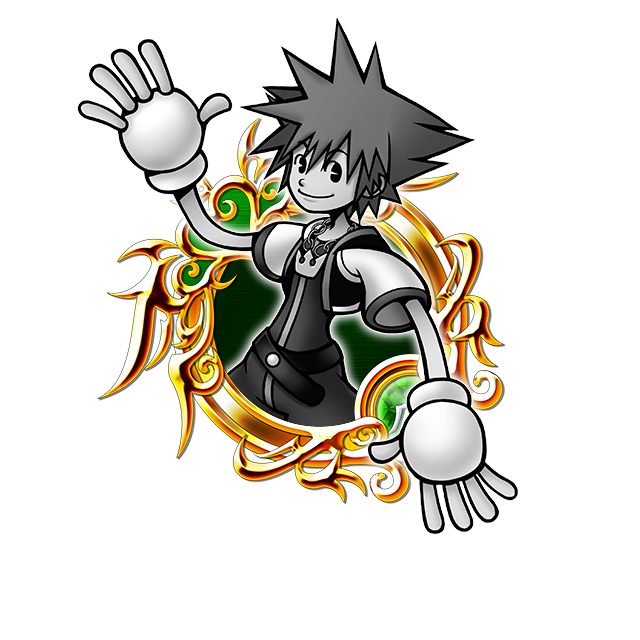 The prizes this time are the Illustrated Timeless River Sora Medals and Trait Medal #55! ・Illustrated Timeless River Sora will gain a new trait. ・Illustrated Timeless River Sora will gain one Special Attack Dot. 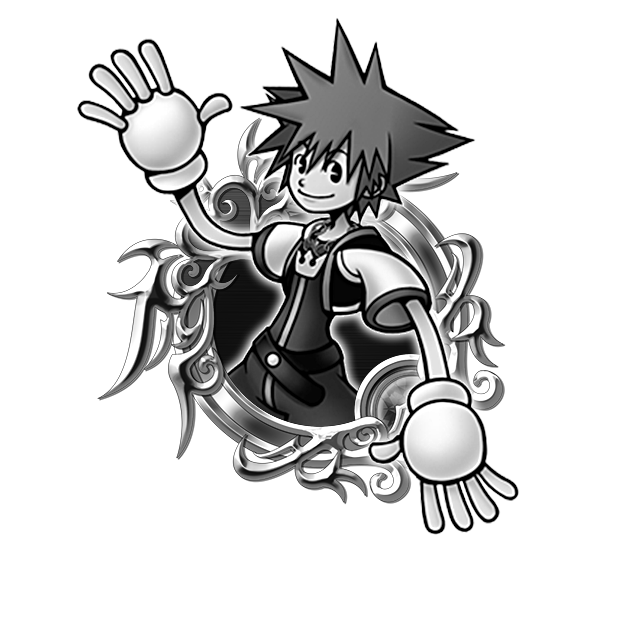 NOTE: If Illustrated Timeless River Sora is already strengthened to 5 Special Attack Dots, the Trait Medal will unlock the Special Attack Bonus. Trait Medals can also re-roll Special Attack Bonuses if the Bonus is already unlocked. ・Boosted Illustrated Timeless River Sora: 1,000 more base Strength and Defense. He should probably see a doctor about that swelling.